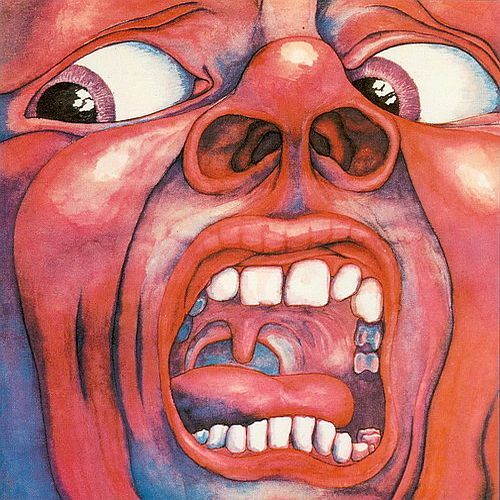 In The Court Of The Crimson King, by King Crimson, is popularly considered to be the first true progressive rock album ever recorded. Over 40 years later, listening to it now, and comparing it to the music of the times, it's not hard to see why. This is the perfect starting point for anyone wanting to get into King Crimson, or even progressive rock in general. If you have never heard this album, do everything in your power to acquire it as soon as possible. Unlike King Crimson's future works, which are more specialized brands of music, there's really something here for everyone. Whether you're looking for the frenetic pacing that KC is most known for, a soft ballad, grandiose symphonies, or weird experimentation, ITCOTCK will more than likely have at least one song that you'll fall in love with. About 85% of the album is sheer bliss, while some of the experimentation and jamming the band gets into is interesting the first few times around, but quickly becomes tiring. I would not say that any one instrument really defines this album. It's really the combination, and the sheer chaos, of all of the instruments working together that make these songs such a joy to listen to. You might think that it would get out of hand (to be fair, it does occasionally), but these arrangements, while crazy, still manage to be very well structured. While you'd be hard pressed to find a guitar solo on this album, there are a few special moments that make you rewind and go, "wait, that was guitar?" that are among my favorite moments. Also to be noted is the use of Mellotron, which is simply fantastic, and is surely one of the top examples of the instrument. The vocals/lyrics are arguably the best that KC would ever achieve, and are truly a joy to listen to. So 40 years later, whether it was the first prog album or not doesn't really matter. The simple fact is that this is a fantastic piece of music. Even though not every song is perfect, and you may even want to skip one every time, you simply must hear this to fully understand the genre.